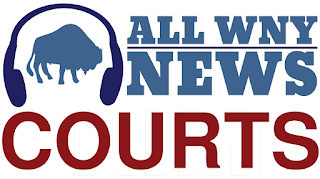 BUFFALO -- Calvin Elston, Jr., 41, of Buffalo, pleaded guilty to conspiracy to possess with intent to distribute, and to distribute, 400 grams or more of fentanyl, before U.S. District Judge Richard J. Arcara. The charge carries a mandatory minimum penalty of 10 years in prison, a maximum of life, and a $10,000,000 fine. Assistant U.S. Attorney Michael J. Adler, who is handling the case, stated that between July 2013 and May 2015, the defendant conspired with co-defendants Brandon Coburn, Jennifer L. Courton, Rodney Courton, John Davis, Jessica Howard, Samuel Nappo, Tashaira Vazquez, Terrance Williams, Johanna Sanchez-Rodriquez, Luis Diaz, and others, to distribute fentanyl, oxymorphone, oxycodone, and amphetamines, Schedule II controlled substances. Over the course of the conspiracy, Elston obtained prescriptions in his own name, and in the names of others, from co-defendant Brandon Coburn, a nurse practitioner. Neither he, nor the others, ever saw Coburn for treatment. The defendant and co-defendant, Jennifer L. Courton, would then recruit various individuals who would agree to go to pharmacies to submit prescriptions. These individuals, including Rodney Courton, John Davis, Jessica Howard, Samuel Nappo, Tashaira Vazquez, Terrance Williams, Johanna Sanchez-Rodriquez, Luis Diaz, and others, would be paid money for their services. Coburn would also be paid for writing each prescription. In total, from July 2013 to May 2015, 253 prescriptions were issued by co-defendant Coburn without any legitimate medical purpose. A total of 10 defendants have been convicted in this case. Today’s plea is the result of an investigation by the Drug Enforcement Administration, under the direction of James J. Hunt, Special Agent-in-Charge, New York Field Division. Sentencing is scheduled for October 22, 2018 at 12:30 p.m. before Judge Arcara.